Screenshot Control is the fastest way possible to let someone know what you are looking at. The program takes a screenshot and circles the point where the mouse cursor is at. Dont forget a picture speaks more than a thousand word. That means, all you have to do is point at whatever you want to show someone, and press the shortcut key (F3 and F4). Then an imagefile is created and instantly opened, for you to confirm it is what you want to display. Then you can paste the file anywhere, on your desktop, in an email or a flash disk for example. 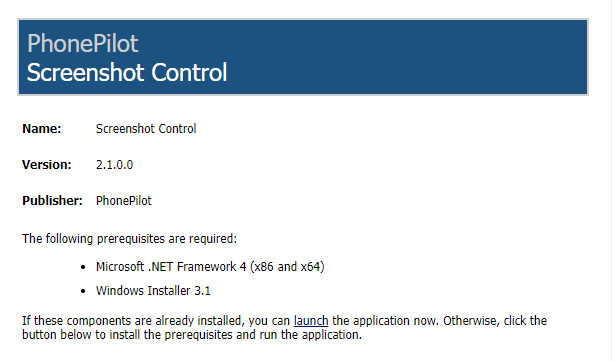 The program can also be used to create a texfile out of text you copy from a website or anywhere. All the files you create will be saved in a directory chosen by yourself. 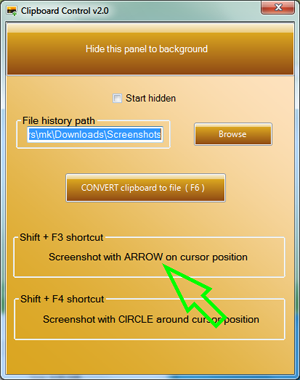 Screenshot control is very small and easy to use program, that installs in less than a minute.